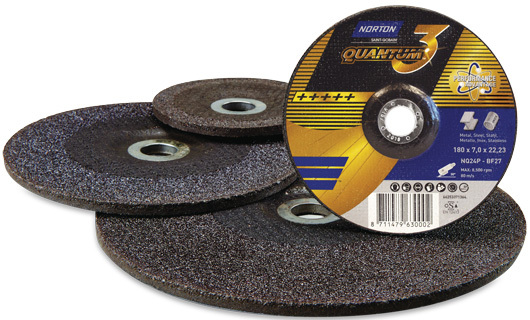 The International Hardware Fair, Cologne, Germany was the platform for the launch of Norton’s latest revolutionary grinding wheel: Norton Quantum3, on 6th March 2016. Thanks to Norton’s highly specialised knowledge, experience and dedication to producing the right mix of proprietary ceramic grain and tough new bond system, this evolution in abrasive science answers every grinding question. The wheel ‘bites’ into the metal with ease, and with effortless steering and control glides through the workpiece for a more comfortable grinding experience than ever before. In addition, thanks to longer product life, fewer wheels are needed in a process, reducing overall process cost and time lost by changing wheels. Norton is THE leader of reference in technology and performance. We’re shifting perceptions on grinding technology.